Albion will have an early start to their new year as their Premier League match with Bournemouth on New Year's Day has been moved to a 12.30pm kick-off. 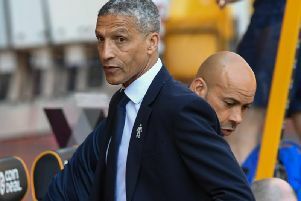 The match will be shown live on Sky Sports, as will Brighton's home game with Chelsea on January 20. That has also been moved to a 12.30pm kick-off.